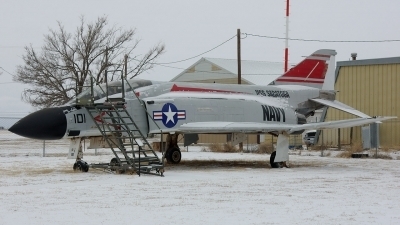 Now on display at the Texas Air Museum at Slaton, just south of Lubbock, this McDonnell F-101B Voodoo looks like she is being repainted. Photo taken 6th February 2014 on a very cold day. 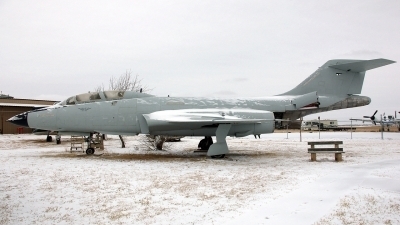 Slaton Texas, is just south of Lubbock, site of the Texas Air Museum. This is F-4S Bu.No 157293 as 'AC-101' of VF-31 on board USS Saratoga, she is credited with shooting down a Mig-21 on 21st June 1972 with an AIM-9, flown by Cdr Samuel Flynn. 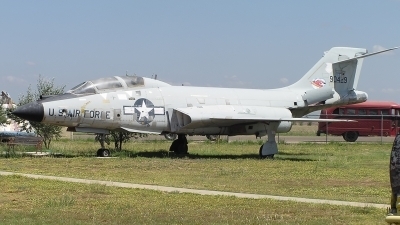 An ex-USAF Voodoo, now part of the inventory of the Texas Air Museum in Slaton, TX. 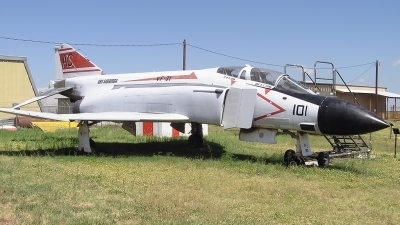 This Phantom was delivered as an F-4J, but was later upgraded to F-4S standard. 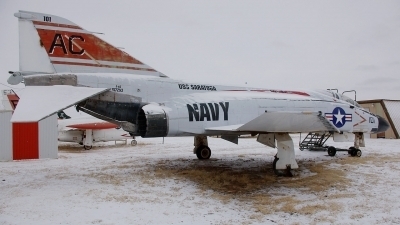 The 157293 is credited by some with shooting down a MiG-21 on June 21, 1972 although the pilots claim they were flying another plane at that time.